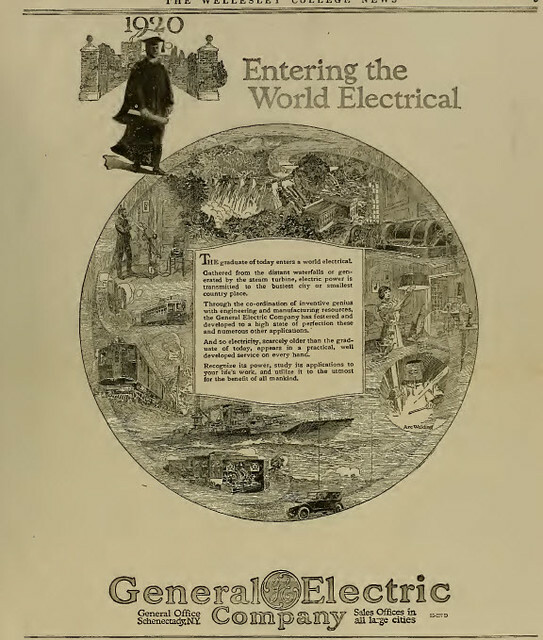 Another ad from General Electric that seems to offer up a fantastic world of machines to the newly graduated student. Though why the student is male when the newspaper is published at an all-women college leaves much to be questioned (such as was this an ad to direct women to direct their love interests where to go or work or purchase from?). But it's curious how much General Electric emphasizes the world is as the feet of those who spend money on its many appliances.